Housing prices continue to rise in Brisbane and in fact all of Australia. As the housing market continues to boom with investment buyers purchasing real estate at an alarming rate, it would make sense to break into the housing or real estate market as soon as possible. Problem is that many potential buyers lack the capitol or savings to make the all important deposit. Although the first home buyers grant offers a one off tax free federal government payment offered to most first home buyers in Australia. In some cases the grant is only available for the purchase of building a new home or moving into a brand new house. Mortgage Brokers in Brisbane will do all of the leg work to obtain you the best loan for your new home. Most people don’t understand that the buyer doesn’t actually pay the mortgage broker, the bank does. The banks are also out to get more customers for home loans or mortgages and are quite prepared to pay the broker a finders fee. The best advice is go and visit your local mortgage broker in Brisbane and ask them how much you could borrow based on your credit rating and income. The Broker will be able to tell you how much you should be able to get you the best package based on the relationships that they have with the banks. Most banks wont lend money to people who are self employed unless their annual turn over is greater than $100,000, they have employees and can provide evidence for more than 5 years. In the case of a sole trader who works for himself and earns less than $100,000 a year, a mortgage broker can negotiate with the bank and secure you a fixed or variable interest loan for your property. There has been a lot of talk in the media about the under supply of housing in the Australian housing market. 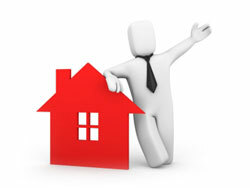 If this trend continues… Now is the time to enter the property market in Brisbane. Property is an investment that would only increase in value as time moves on. So Take advantage of the first home buyers grant, visit your local mortgage broker and start investing.